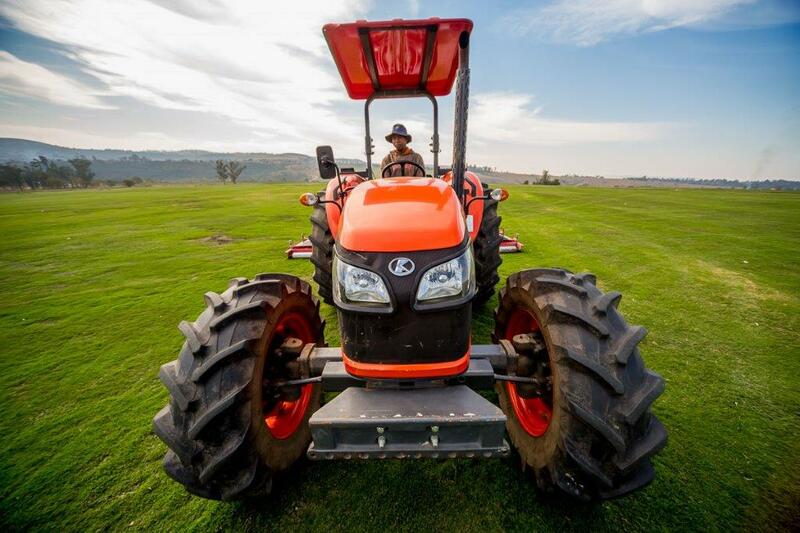 Kubota is distributed in South Africa by Smith Power Equipment and Valtrac is their Pietermaritzburg dealer. 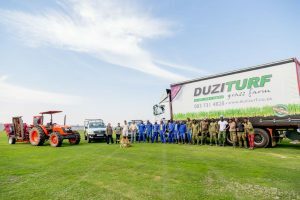 One of the features of the Kubota M8540 that has really impressed the Duzi Turf team is its exceptionally small turning circle made possible by engaging, on-the-run, the bi-speed system which instantly engages an over-speed gear driving the front wheels at twice the normal speed. 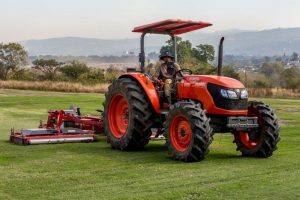 “This makes a huge difference to us as the physical demands in terms of the way the grass is cut, sprayed and harvested are very tight,” says Adam Ashton. 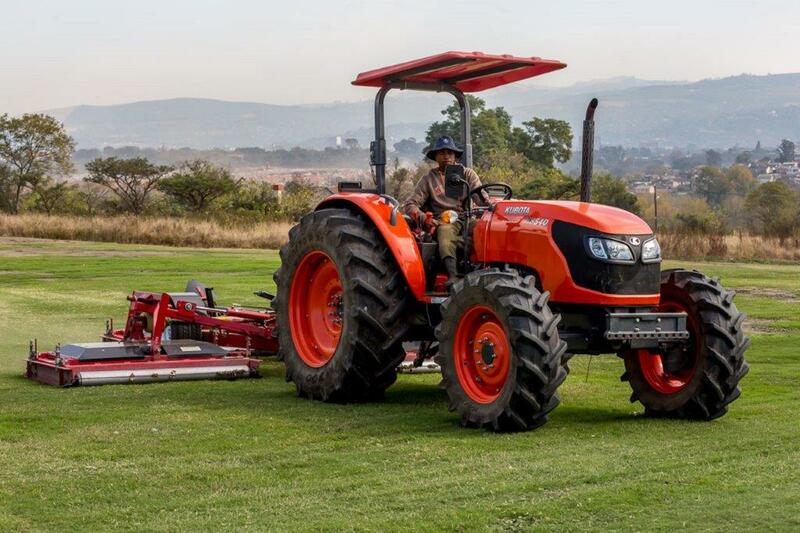 The Kubota M8540’s multi-functionality at Duzi Turf requires an exceptional PTO system for which Kubota is renowned. The small operating lever is just under the steering column and is completely independent of the gear system. The separate multi-disc wet clutch pack is unusually free of any snatching action due to the flow control of the operating pressure and the overrun braking system. This is an important feature for operating sprayers and mowers etc. Adam Ashton says that productivity is all-important in the turf business and the Kubota attention to detail in respect of operator comfort is unique. This is not surprising as Kubota designs their own cabins and fits them in a variety of configurations for operator safety and comfort. “I can say that all-round the Kubota M8540 is the best tractor I have ever worked with,” Adam Ashton concluded. 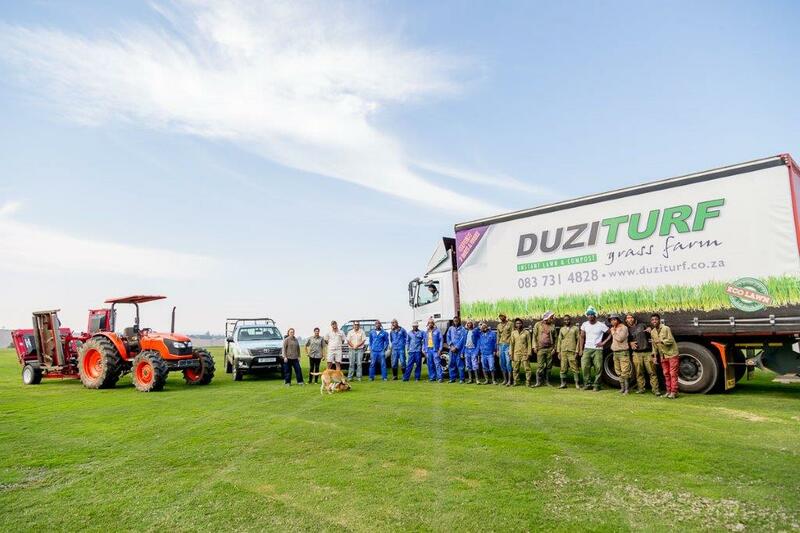 Duzi Turf is a wholesale instant lawn grower supplying customers in Durban, Pietermaritzburg, Eastern Cape, Midlands and Interior KZN. It specialises in bulk orders all year round and stocks several varieties of lawn such as Berea, Cynodon, Royal Blue catering to a wide variety of applications including road verges, sports fields, parks and recreation and domestic lawns.